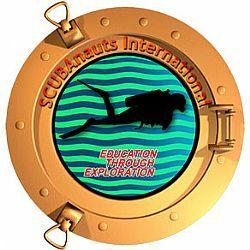 The SNI marine science education program (previously SCUBA Scouts USA) was founded by CAPT David Olson in Palm Harbor, Florida, in May of 2001 in an effort to introduce young men and women, ages 12-18, to informal science education through underwater exploration. Due to the scientific rather than recreational nature of SNI, SCUBAnauts soon created their own identity. SNI has grown considerably in the Tampa Bay area, has received favorable notoriety nationally, and has been very successful in preparing and assisting participating youth through meet leadership opportunities that will ultimately produce our best hope for successful citizens and leaders of tomorrow. The addition of a Tarpon Springs chapter in September 2008 is focused towards exploring the undocumented reefs of the Springs Coast of West Florida. This new information will provide scientsits with baseline data to monitor these reefs. A Key West Chapter was formed in July 2009, which plans to monitor and educate locals about the Florida Key's vital coral reef ecosystems. The Lake Hitchcock Chapter in Western Massachusetts, established in October 2009, is providing unique opportunities to underpriviledged youth in the region and promoting interest in science through SCUBA diving. SNI looks forward to the challenge of increasing the opportunity for young explorers and leaders of tomorrow. These challenges are met by enlisting new members, recruiting top notch mentors, and continuing to establish new SNI Chapters nationwide and internationally. The new Tampa chapter will focus on springs resources.